Baking with Granny is a family homebaking blog packed with generations of recipes & tips from the cake-making, home-baking & all-round confectionery expert, Granny. Started in December 2015, Baking with Granny is quickly filling up with many recipes for even the most novice of home-bakers. Granny’s decades of experience mean you’ll find more baking wisdom here than you are likely to anywhere else. 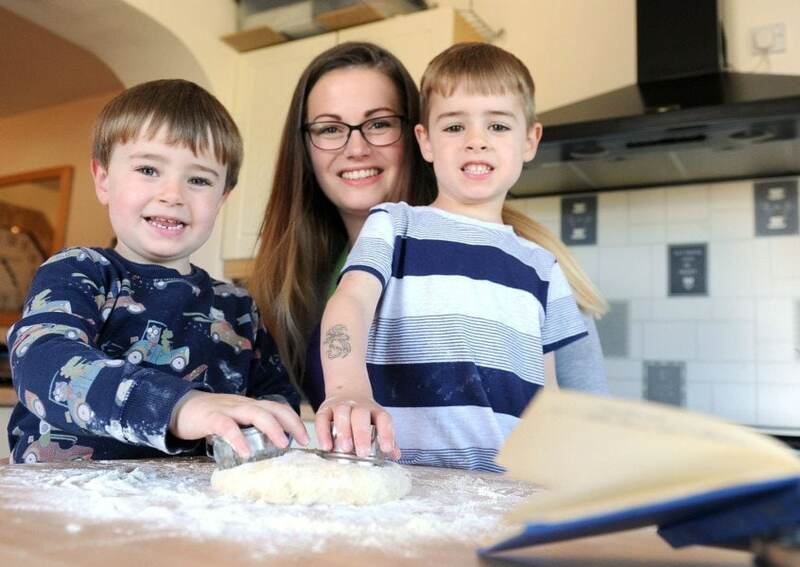 Created and maintained by Mummy, with appearances from The Boys, Baking with Granny is a resource for the whole family, featuring three generations of delicious knowledge. So whether you’re trying to track down that one recipe which your Granny used to bake, or you’re looking for a new classic to try, you’re guaranteed to find something to satisfy that sweet tooth. A graduate of Glasgow College of Food Technology and a professional cake designer of 30+ years, our Granny really does know her stuff! From wedding cakes to tray bakes, she’s perfected them all. A fountain of endless food knowledge and baking tips, Granny is here to provide her recipes; most of which would otherwise remain stored in her memory for eternity, along with her expertise and top tips for creating some delicious confectionery. Also known as Amy. The boss of all things technology & photography on Baking with Granny. Growing up in the house which hosted Granny’s caking & baking, Amy has been there to witness it all. More familiar with a computer than a cooker, Amy takes Granny’s knowledge and recipes and transfers them to screen for the world to enjoy. She also provides the real-life novice verdict on the recipes whilst trying to attempt them to her best ability, without fancy equipment or obscure ingredients – just good old fashioned baking! The next generation of family bakers! Our expert tasters & little learners. Helping determine which recipes are child-friendly and which are best left for the grown-ups to venture after bedtime. They’re also known to throw the occasional bogey into the batter – you have been warned! So that’s us! If you’d like to get in touch with any questions, please feel free to give us an email or say hello on social media. If you’re a brand and want to know a little more about working with us at Baking with Granny then why not take a look at our Work With Us page. Special thanks to the Edinburgh Evening News and Lisa Ferguson for the fantastic photos feautred. You can see the article of which they were taken for here.